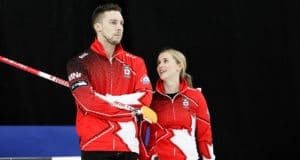 An expanded field for the final step of qualifying for the 2018 Winter Olympics in Pyeongchang, South Korea, will be part of Canada’s bid for an unprecedented repeat as men’s and women’s Olympic curling gold-medallists, it was announced today by Curling Canada. The Tim Hortons Roar of the Rings, scheduled for Dec. 2-10, 2017, at Ottawa’s Canadian Tire Centre, will feature nine men’s and nine women’s teams (up from eight of each gender in 2013) battling for the right to represent Canada at the 2018 Winter Games in hopes of repeating the gold-medal victories of Canada’s Brad Jacobs and Jennifer Jones in Sochi, Russia, in 2014. 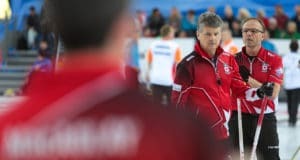 The qualifying system for the 2017 Tim Hortons Roar of the Rings has been tweaked mildly from the system leading to the 2013 Canadian Curling Trials. In addition to the expanded field, the winners of the 2016 and 2017 Tim Hortons Brier and Scotties Tournament of Hearts will gain direct entry to the Trials, with the proviso that they must finish on the medal podium at the world championships in the same year. 1. Winner of 2015 Home Hardware Canada Cup, Dec. 2-6, Grande Prairie, Alta. * teams winning the national championship must ‘medal’ at the worlds to earn the invitation. In cases where teams qualify in multiple scenarios (for instance, a team wins both the Home Hardware Canada Cup and Tim Hortons Brier/Scotties Tournament of Hearts), the next highest non-qualified team on the 2016-17 CTRS standings would get a berth. The exception to that is the two-year CTRS qualifier. In that case, the next highest non-qualified team on the two-year list would get the spot. The Road to the Roar Pre-Trials fields, meanwhile, will consist of 12 teams of each gender playing off for two berths in the Tim Hortons Roar of the Rings. 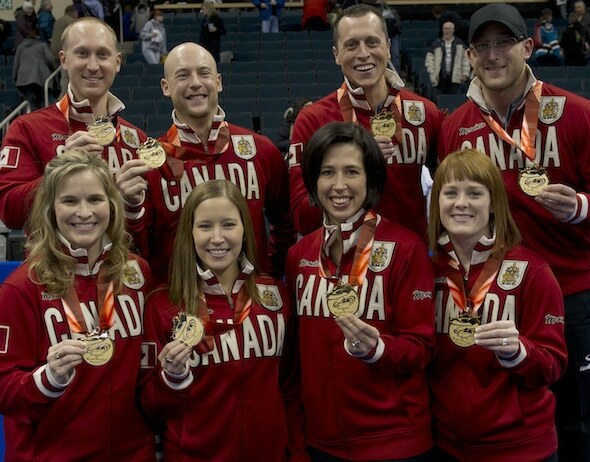 Canadian teams have never failed to medal at the Winter Olympics since the sport was re-introduced as a medal discipline at the 1998 Winter Olympics in Nagano, Japan. Previous hosts of the Tim Hortons Roar of the Rings are Brandon, Man., in 1997; Regina in 2001; Halifax in 2005; Edmonton in 2009; and Winnipeg in 2013.